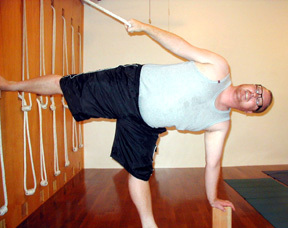 Standing poses are the foundational poses in the tradition of Iyengar Yoga. They are like the foundation of a tall building. If the foundation is solid, the building goes up well. If we develop strong and flexible legs that are aligned properly, then the spine and brain are supported well and good circulation can flow. These poses are done the first week of the month.